One of the most fun things about planning my upcoming A Sweet Escape culinary retreat, has been seeking out cool small businesses and products to feature during the weekend. In addition to all the amazing activities and meals, each guest will be going home from the retreat with a goodie bag filled with some very cool gifts that I've spent quite a bit of time selecting. I literally squealed with excitement when I came across these gorgeous pieces. 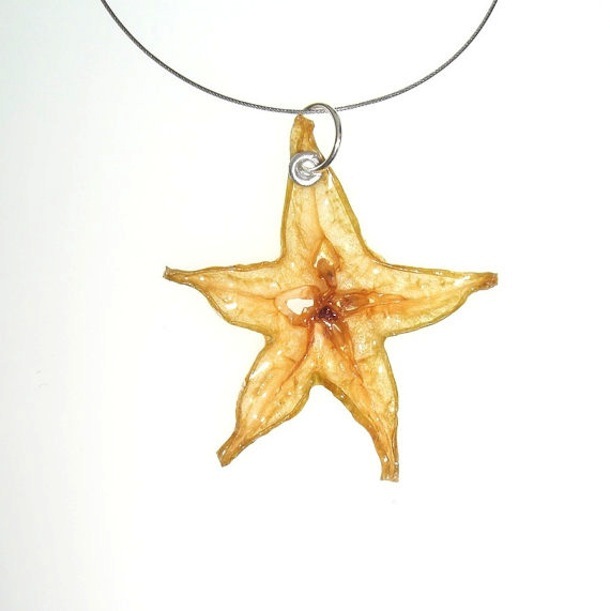 Philadelphia-based artist, Zoe Einbinder carefully dries and preserves thin slices of real fruit, then seals them with a hard, water-resistant coating to create these gorgeous and unique pieces of jewelry. 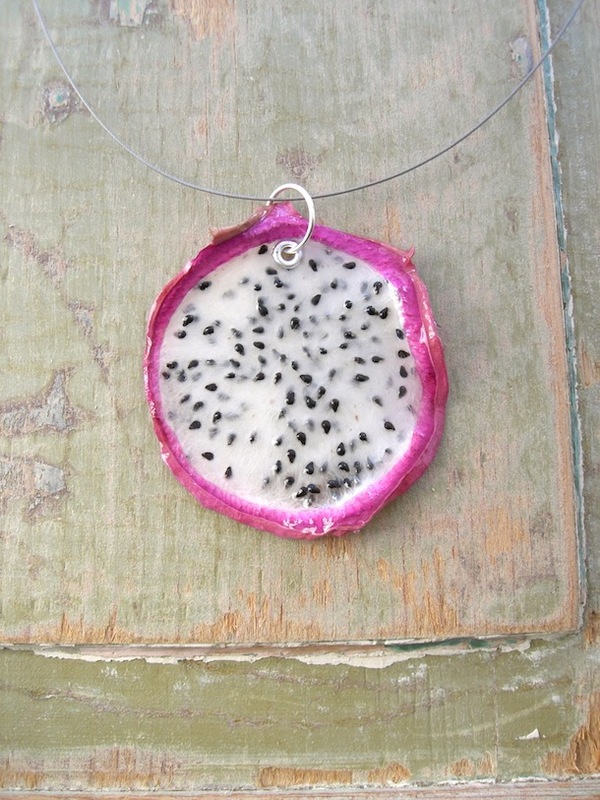 From dragonfruit cufflinks to starfruit pendants, she's found a way to highlight the natural beauty of the fruit and turn it into a true work of (wearable!) art. 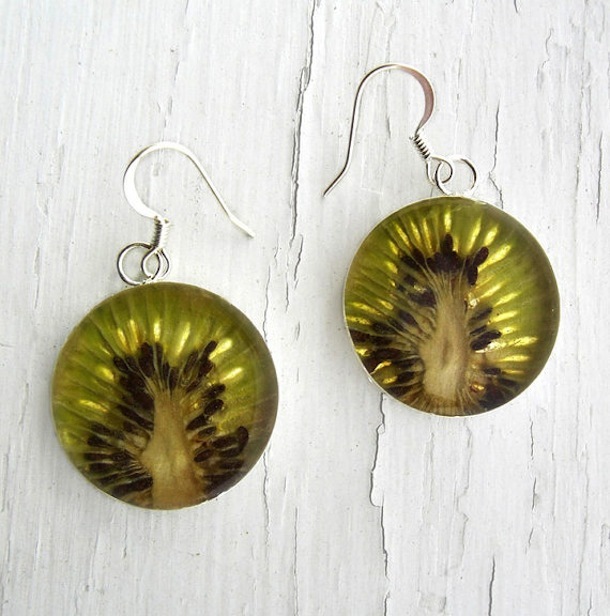 Her jewelry is available through her Etsy business, Real Fruit Jewelry. 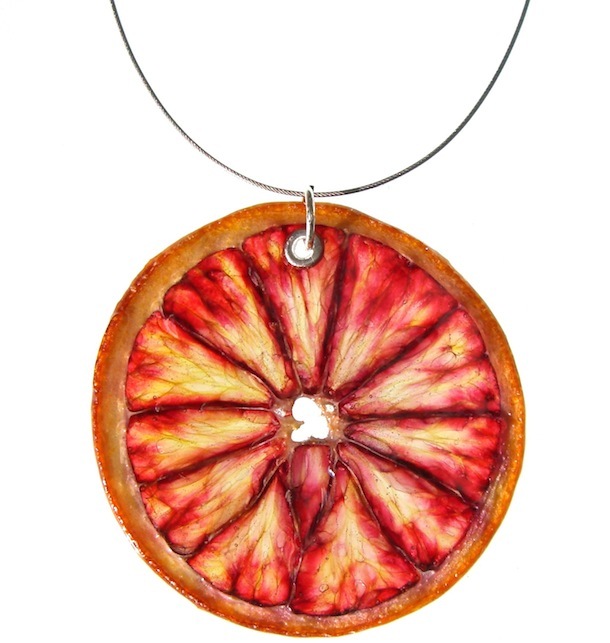 The attendees at A Sweet Escape will all be going home with one of her gorgeous Blood Orange Necklaces (featured in the top photo on this page), but I wanted to share some of the other images with you here because I think they're freaking AMAZING. 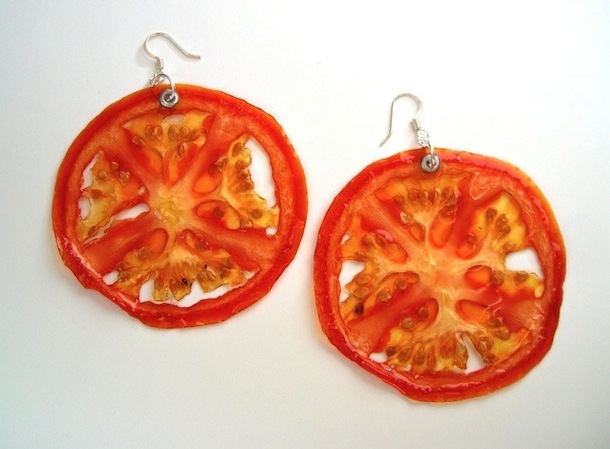 These tomato earrings are my favorite. I'm definitely ordering myself a set. 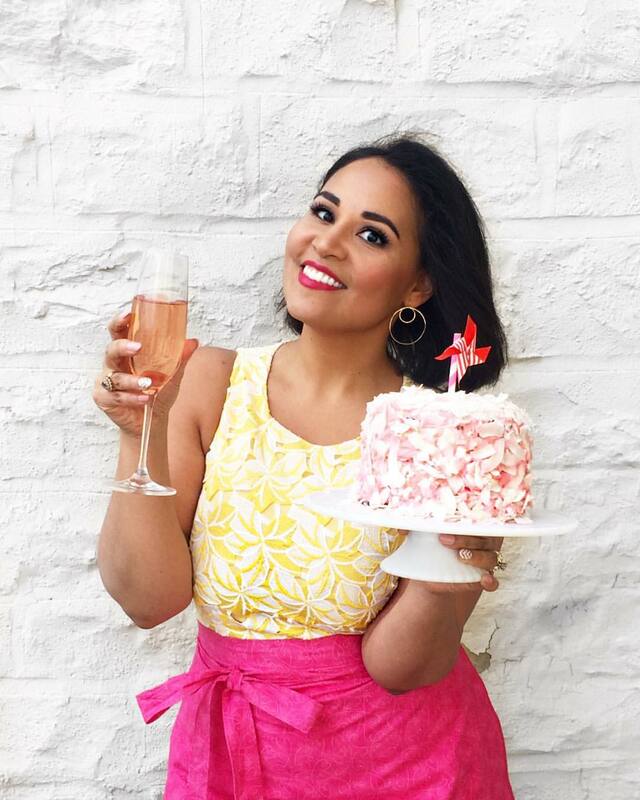 Such a beautiful, clever idea that I know will resonate with my fellow food lovers! 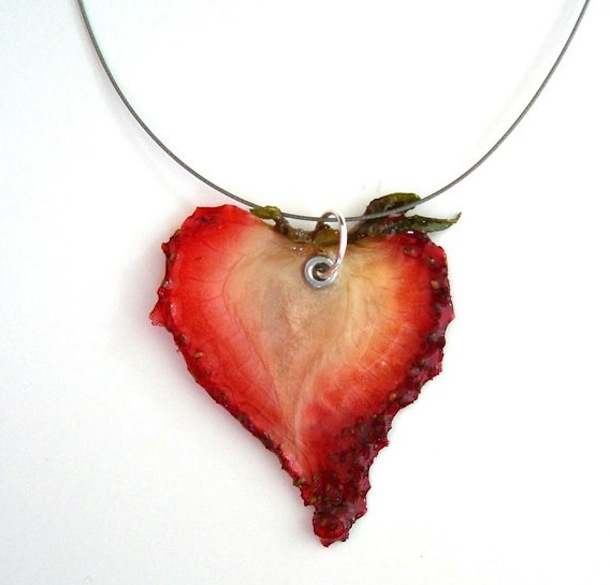 Visit the Real Fruit Jewelry Etsy store to check out more of Zoe's designs. You can also follow her on Twitter and on Facebook. And if you're interested in joining us on A Sweet Escape and snagging one of these for yourself, click here to learn more and register. 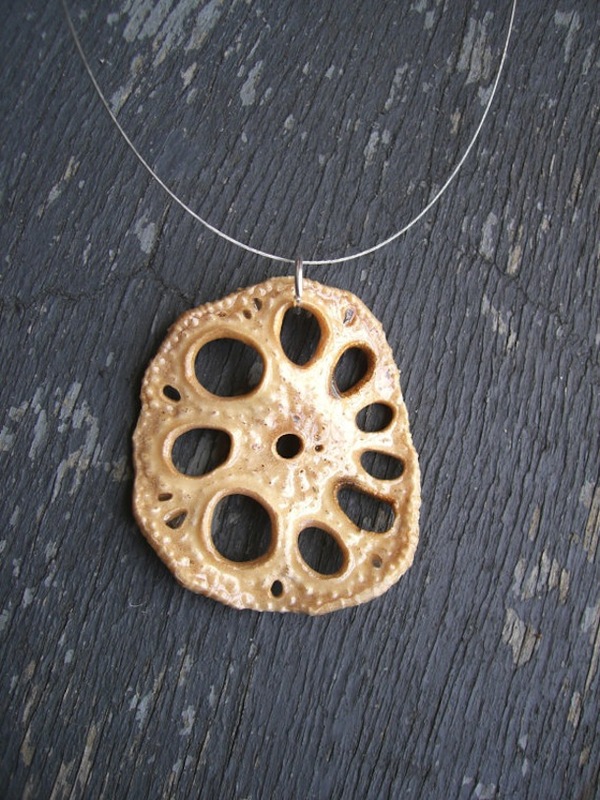 Disclaimer: Real Fruit Jewelry is providing complimentary pendants to attendees of my culinary retreat, A Sweet Escape. This is not a sponsored post, and all thoughts and ideas in it are my own. I just love these and wanted to share them with you!